No internet surfer ever wishes to browse through a website which is slow and is known to face frequent downtime. Therefore, having a hosting plan of a good quality is essential for any online business. However, when it comes to choosing the right WordPress hosting provider for your personal company, it is an extremely intimidating task. Over the years, we have come across various customers who have personally blacklisted a company despite its great repute in the market. Something like this occurs to those who blindly believe in a company without checking all the consequences. There are a lot of factors which one must keep in mind before opting for a particular hosting provider. 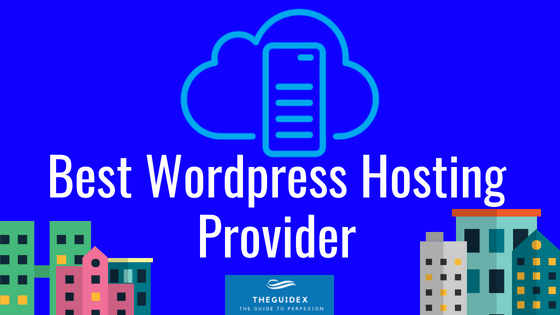 This is why we have come up with a list of the Top 7 WordPress Hosting Services (2019). But before we begin, let us compare the different forms of WordPress hosting services that are available today. It is widely famous that WordPress, due to its simplicity in terms of management, remains the top dog in content management systems. Therefore, hosting providers have come up with a plethora of hosting plans for its users. Here is an overview of them. When it comes to WordPress, there are 2 websites which are available to the customers. One of them (WordPress.com) provides free website hosting to its customers while the other (WordPress.org) does not. While the free hosting plan can be availed on WordPress.com, it comes with limited access to the customer. Therefore, it is quite risky if you have a growing business. Since its introduction, shared web hosting has been the most popular form of WordPress hosting amongst customers. This is due to the fact that it is the cheapest one available. On this kind of server, you share IP address and other website resources with another business running on your particular server which means that if your shared business faces a malicious attack, your website is also affected by it. A VPS is similar to a shared server. Your website runs on a shared server, however, the amount of websites on this kind of server is much fewer than that of a shared server. Additionally, in VPS server you can get full root access of your server. As its name suggests, a dedicated server is that which is provided to a single client and only their website runs on it. It is costlier than a VPS and shared servers but its security makes it more value for money. This kind of hosting is relatively new to the market. This is quite similar to a dedicated server but it is customized specifically for WordPress websites. It includes WordPress specific features like CMS updates, etc. GoDaddy WordPress Hosting $1 Includes Domain, Set-up and Dedicated 24/7 Support. Unmetered Bandwidth. 24/7 Secure Monitoring. One-Click Setup. Fast Page Load Times. Founded in the year 2003, BlueHost is a very good company which provides WordPress hosting at an affordable price. Over the past decade, they have managed to build quite a reputation for themselves and can hence be trusted with their products. BlueHost is very good in the support department as it offers 24/7 support via phone, mail and online chat services to its customers. They are one of the best providers out there but their customizability might not suit everyone’s requirements. The competition when it comes to WordPress hosting providers is quite intense but A2 Hosting just manages to nail itself down in the top spot. The company is known for its blazing fast servers and it’s customer support which is always available. A2 Hosting has excellent customer support which never manages to disappoint its customers. The support team is available 24/7 and listens to all kinds of query related to the development or the hosting purchased. We definitely recommend them to everyone. However, some of their plans might not be affordable for some. Most people who are into web development and marketing would have heard of GoDaddy from various sources as a leading domain provider. Apart from that, GoDaddy is also an excellent WordPress hosting provider. Its servers have great speed and features and come with a free domain name at the moment. GoDaddy has a great support team which can be reached via phone call and E-Mail. However, they don’t provide a live chat feature but they do have a community forum for its customers. GoDaddy is an amazing company which provides value for money WordPress hosting. They are definitely recommended by us but there are some minor drawbacks like the no live chat feature. SiteGround is one of the most commonly used WordPress hosting providers today. Their servers are of a superior quality than most of its competitors and rarely fail to live up to their expectations. SiteGround provides astounding value and only provides servers of the highest quality. They are recommended by us. InMotion Hosting assures a high-quality hosting service to its clients. Each of their servers is highly renowned and come with close to a cent percent uptime guarantee. InMotion Hosting’s customer support team can be reached via phone, E-Mail or live chat. InMotion Hosting is definitely recommended to everyone specifically looking for a hosting service which specifically prioritises WordPress based features. As its name suggests, WordPress Engine or WP Engine is a company which specializes in WordPress hosting. Their servers are very good and can be trusted by all kinds of customers. Even if you check WPengine hosting reviews. The customer support team at WP Engine excels in all areas. It has won the Stevie Award for the best customer service 3 times which clearly shows its quality. WP Engine is definitely worth checking out. If their plans suit your requirements, they will not disappoint you. HostGator are commonly known for their excellence in shared hosting. However, they are very good even when it comes to WordPress hosting. WordPress professionals are available 24/7 at HostGator and can be reached via multiple means. Their amazing features make them a worthy contender on the list. People have often expressed negative opinions regarding their customer support but they are constantly working on improving it which gives us assurance that they’ll match your expectations for sure. As we have already mentioned that website’s loading speed plays a major role in the development of the website in the web world, We strongly advise you to opt for a hosting service that offers good uptime guarantee and fast loading times. If you want to start a PBN blog and looking for a best PBN hosting providers, You can check the best PBN hosting review on PBNGuru. You can share your thoughts with us in the comment section below, and if we forget to miss some of the best hosting sites for WordPress, please let us know in the comment section below.